Meins G.S. Coetsier Dr. Phil. Dr. Cult. "Etty Hillesum and the Flow of Presence"
"The Existential Philosophy of Etty Hillesum"
God Fettered in Jail? Heschel, Rilke, and the "Vollendung"
MEINS G.S. COETSIER is the director of the Centre of Eric Voegelin Studies (www.evs.ugent.be) and the author of Etty Hillesum and the Flow of Presence: A Voegelinian Analysis. He wrote "Between Realities: Dawkins vs. Voegelin" for the Summer/Fall 2009 issue of Modern Age. An article is presented that discusses the works of rabbi and theologian Abraham Joshua Heschel, poet Rainer Maria Rilke, and philosopher Eric Voegelin. Topics include the relation of religion to political life, the relation of religion to the arts, and the notion of transcendent meaning in the context of mass media technologies. In "Reading in Peril" Prof. Dr. R.V. Young writes: Meins G.S. Coetsier offers a meditation in the style of Eric Voegelin on the Polish-born American rabbi and poet Abraham Joshua Heschel, and on the great modern German poet Rainer Maria Rilke. Although his essay centers on devotional theology, Coetsier stresses the need for imagination—the fundamental faculty of poetry—in gaining an awareness of the divine presence. There was never a time in which individual expression was so much in evidence. Over the past decade, mass media and the Internet have played a major role in world politics: MSN, Google, YouTube, Facebook, Twitter, and the wide-ranging blogosphere have not only altered election campaigns but also pushed the integration of technology into the process of field organizing, affecting Western politics significantly. As the first American president with a Facebook page and a YouTube channel, Barack Obama has, according to some, successfully integrated technology with a revamped model of political organization that stresses volunteer participation and feedback on a substantial scale. Moreover, that part of ethics that had to do with the regulation and government of a particular nation or state has now become an online stage, a political arena, for worldwide interaction. The preservation of our civilization, its safety, peace, and prosperity, the defense of its existence and rights, has become not only dependent on but also susceptible to the matrix of the Internet and the World Wide Web. Yet despite ongoing developments of communication technology, there was never a time in which true personal expression was so rarely achieved, in which there was so much pressure to adjust oneself to convention, to media cliches, and to the latest trends, opinions, and similar news flashes. The irony is that in an age of excessive communication, or rather information, we are losing the power for relationship. Since genuine relationship (Martin Buber's "I-Thou"--in German, "Ich-Du") and individual expression provide an answer to an ultimate question, we face an additional predicament in our modern age: we do not hear the ultimate question anymore. (1) There is too much "noise pollution"--a surplus of unwanted data devoid of meaning, an overload of headlines, images, and emotions. Modern man is in danger of becoming a forgotten "thing" among things (of dwelling exclusively in Buber's realm of "I-It"--in German, "Ich-Es"), (4) a lost object in space and time. Man's deep-seated spiritual condition of insecurity and despair--i.e., "anxietas" (Cicero), "dread" (Kierkegaard), "fear of death" (Hobbes), or "Angst" (Heidegger)--shows how a shift has taken place from the classical experience of joyful participation in a theophany to the hostile alienation from a reality perceived as hiding rather than revealing itself. Today we might know our desires and feel our whims and our failings, but we do not know our ultimate commitment. We may be conscious of the effect of our actions, but we do not understand what they mean. We stand in awe of many things, yet deep down we do not know what we stand for. God is exiled in the human heart: "fettered in jail." (5) We have lost any appreciation of what could be our highest concern, in Eric Voegelin's terminology--that is, of our ultimate fulfillment in the "divine ground"--because such fulfillment is found not merely through psychological "self-inspection" but also through our rational and spiritual attunement to the One who is concerned with man. Abraham Joshua Heschel (1907-1972) and Rainer Maria Rilke (1875-1926) are perhaps unlikely figures to associate with the philosophy of Eric Voegelin, but they also seek to find the divine ground. Voegelin's own divine-human search was inspired by ancient philosophy, chiefly by Plato and Aristotle. Both Plato's eros of the search and Aristotle's intellectually more aggressive aporein recognize in "man the questioner" the man moved by God to ask the questions that will lead him toward the cause of being. Hence, the searches of Heschel and Rilke are such evidence of existential unrest. In the act of questioning, their experiences of the tension toward the divine ground break forth in the word of inquiry seeking the Word of the answer. Their struggles to experience and understand "authentic relationship" connect them. Each in his way searches to revive the encounter with the divine presence in an empty "I-It" world that has been lost in translation. 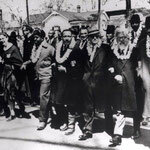 A Jew born in Warsaw, Abraham Joshua Heschel was reared in a Hasidic community. Spending his student years in secular Jewish Vilna (now Vilnius) and cosmopolitan Berlin, he escaped Nazism and immigrated to the United States in 1940. Heschel lived and worked in America where through his politics and personality he came to influence not only the Jewish debate but also wider religious and cultural debates in the postwar decades. may be of no concern to man, but man is of much concern to God. important that we pay attention to the role and meaning of symbols. At present, there are many and variable modes of political life in the West, driven by reason as well as by passions from the heart such as love and anger, grief and joy, mercy and wrath. Yet man is not always guided by the good, by reason; there are moments when human attachment turns to political detachment, when compassion and concern are overshadowed by partisan anger and narrow-mindedness. These instants mark the difference between opinionated outbursts and authentic political experience. the human soul wanes when detached from what is greater than itself. In Plato's days there was a difference between experiencing opinions and experiencing a deep concern for reality or truth. For Heschel this desire for truth becomes "the most precious insight" when man turns to his awareness of God: "It is living in the perpetual awareness of being perceived, apprehended, noted by God, of being an object of the divine Subject. This is the most precious insight: to sense God's participation in existence; to experience oneself as a divine secret." Yet even here we must not think that by speaking of "God" we reach the essence of the political life. "Transcendent attentiveness," as Heschel puts it, merely defines the limits of our understanding of God. God in Himself, His Being "is"! Heschel reminds us that our politics must not "shrink to inferiority" but must take into account our human attachment to the utmost. Moreover, he points to an experience whereby God is in search of man. Without God in sight, Heschel believes, "we are like the scattered rungs of a broken ladder." (18) He suggests that we shift the center of living and move from a preoccupation with ourselves to an awareness of the divine Presence. God, he is convinced, is the center toward which all forces tend. In Voegelinian terms, "the divine ground" is the source, and we are the flowing of this force, the ebb and flow of His tides. Politics in its truest sense takes the mind out of the narrowness of self-interest and enables us to see and engage with the world in the "mirror of the holy." Heschel argues that when we betake ourselves to the extreme opposite of narrow-mindedness, we can behold a situation from the aspect of God. The political life can, if we allow for it, create opportunities to be honest, in saying what we believe and to stand for what we say. For the accord of assertion and conviction, of thought and conscience, is the basis of all human aspiration under the Presence. Born in Prague in 1875, Rainer Maria Rilke was reared in a rigidly traditional fashion, the only child of an unhappy marriage that was eventually dissolved. At the age of eleven he was sent to military school, but, being a highly sensitive boy, he was unfit for a military career. After an illness he left the military academy and focused on his studies. By the time he entered Charles University in Prague in 1895, he had already published his first volume of poetry; he went on to produce a significant body of poetry and other writings in a relatively short life. silent, touches the roots of speech. 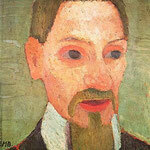 To read a poet like Rilke may help modern man to express his spiritual quest more accurately. To find such "inner security" and to develop this, Voegelin would encourage us to go back to the experiences that engendered the poet's symbols. Through a meditative reading of Rilke's letters and poems we may become aware of a timeless quality that enables us to regain some humanity, realizing that we are human beings ("Menschen") living side by side in God's presence. Rilke spoke of a "Weltinnenraum," an "inner universe" or "outer space within." (29) He guides his readers to the indestructible part of the human soul, to "God." Of course, one could wonder if any inner security can be developed under the inspiration of poetry. It should, however, be borne in mind that, as with most questions posed concerning "God" and "poetry" (or in Heschel's case "theology"), the answer is: "It depends whom you ask." For some such inner security cannot be developed; for others, poetry may indeed give an experience of "Vollendung"--that is to say, the courage and strength to be there for other people, to bring God to fulfillment. Between the poet's whispers of love and the world he lives in there is consciousness. In the works of Rilke we may discover such consciousness in the concrete--that is, the artist's dreams of spiritual and sensuous intimacy with the divine Presence. The haunting images focus on the difficulty of communion with the ineffable in an age of disbelief, solitude (that is, alienation), and profound anxiety. Rilke's themes tend to position him as a transitional figure between traditional and modernist thinkers, while his writing became a form of sharpening vision and inner transformation, altering lives. By encouraging ourselves to listen to our deepest desires the way Rilke and Heschel did, we are one step closer to God, to the meaning of our existence. Heschel spoke with vital moral authority; his "theology" in effect became "politics"--emancipating words that illuminated the world's fullness, with all its challenges, opportunities, and social relations, involving authority and power to action. 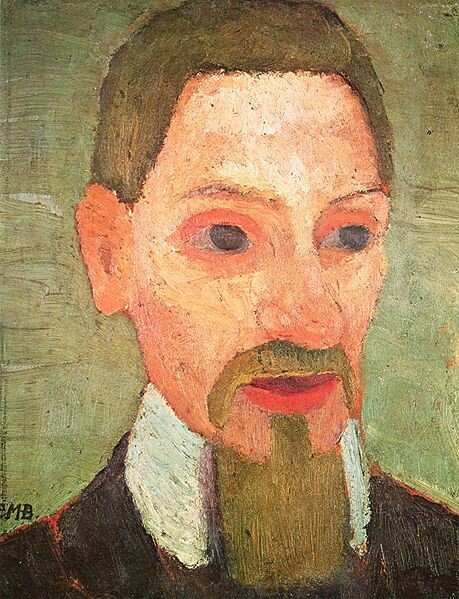 For Rilke the highest concern was to harmonize poetry and art with the divine to fulfill God's presence in this world. Heschel and Rilke attempted to "rescue" God in the human heart, where He is "fettered in jail," in exile. As poets they speak for and to people afflicted with (atheistic) doubts, as they exclaim their longings for the Good. The unrest of our age personifies God's exile and God's need for partners. And as God has limits in the twenty-first century, human beings must seize the initiative to reaffirm the basic human task of rescuing the Transcendent from the demolition of contemporary atheism and idolatry. 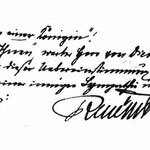 Humankind could demand no fuller commitment than Die Vollendung Gottes. (1.) For "the ultimate question," see Abraham Joshua Heschel, Man Is Not Alone: A Philosophy of Religion (New York: Farrar, Straus & Giroux, 1979), 59-61. (2.) Eric Voegclin, The Ecumenic Age, vol. 4 of Order and History, ed. Michael Franz, vol. 17 of Collected Works of Eric Voegelin (Columbia, MO: University of Missouri Press, 2000), 53. Future references to Voegelin's Collected Works will be abbreviated "CW." Voegelin can he identified as the main inspiration and guide in this essay. (3.) For parts of this reflection, I meditated on Heschel's words on the longing of the soul for the Great Connection. Abraham Joshua Heschel. Man's Quest for God: Studies in Prayer and Symbolism (Santa Fe, NM: Aurora Press, 1998). (4.) Martin Buber, I and Thou, trans. Ronald Gregor Smith (London: T & T Clark. 2003), 15-16: Ich Und Du, ed. Bernhard Casper (Stuttgart: Reclam, 1995), 3. One cannot always appropriately live in the world of what Huber calls "I-Thou." but one must shift from "Thou" to "It." and from "it" back to "Thou." Contemporary Western culture, however, dwells exclusively on "It" and is marked by a "closure" rather than an "openness" toward the (Eternal) "Thou." (5.) Abraham Joshua Heschel, The Ineffable Name of God: Man, trans. Morton M. Lifeman (New York: Continuum, 2007), 65. (6.) 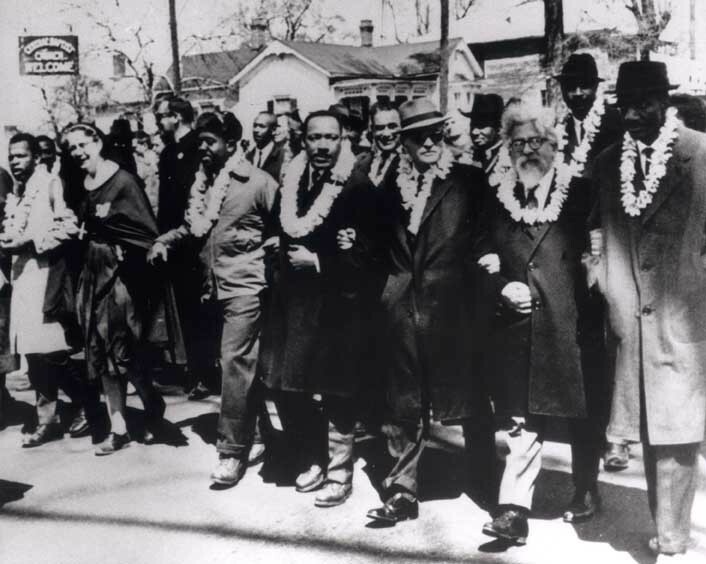 See Edward K. Kaplan, Spiritual Radical: Abraham Joshua Heschel in America, 1940-1972 (New Haven, CT: Yale University Press, 2007), ix--xiv: ibid., 261-76: and Heschel, The Ineffable Name of God: Man, 7. See also Heschel, God in Search of Man: A Philosophy of Judaism (New York: Farrar, Straus & Cudahy, 1955). (7.) See Richard Dawkins, The God Delusion (London: Bantam Press, 2006). (8.) Heschel, Man's Quest for God, xii. (9.) CW, 28: 111-62: Henri Bergson, Les deux sources de la morale et de la religion (Paris: 1932). (10.) Edward K. Kaplan, Holiness in Words: Abraham Joshila Hesehel's Poetics if Piety (New York: State University of New York Press, 1996), 87. (11.) Heschel. Man's Quest for God, xii-xiii. (13.) Abraham Joshua Heschel, The Prophets (New York: Harper Collins, 2001), 618. (14.) Heschel. Man's Quest for God, 6-7. (15.) Ibid., 619 (see also, Psalm 139:7-18). (19.) Gunther Schiwy, Rilke und die Religion (Frankfurt: Insel Verlag, 2006). (20.) See Rainer Maria Rilke, Pictures of God: Rilke's Religious Poetry, a bilingual edition translated from the German. with an introduction and notes by Annemarie S. Kidder (Livonia. Ml: First Page Publications, 2005). (21.) "Schweigen. Wer inniger schwieg, rührt an die Wurzeln der Rede. Einmal wird ihm dann jede erwachsene Silbe zum Sieg: über das, was im Schweigen nicht schweigt, über das höhnische Böse: dass es sich spurlos löse, ward ihm das Wort gezeigt." John J. L. Mood. Rilke on Love and Other Difficulties (New York: W. W. Norton, 2004), 84-85. (22.) See Anita Barrows and Joanna Marie Macy. Rilke's Book of Hours: Love Poems to God (New York: Riverhead Trade, 2005). (23.) See "Repeating/eternal sequence," in Schiwy. Rilke und die Religion, 85. Rainer Maria Rilke. Tagebücher aus der Frühzeit (Frankfurt A.M., 1973), 30. (24.) Schiwy. Rilke und die Religion, 83-96. (25.) "Leben and Tod: sie sind im Kerne Eins. Wer sich begreift aus seinem eignen Stamme, der presst sich selber zu dern Tropfen Weins und with sich selber in die reinste Flamme." Mood, Rilke on Love and Other Difficulties, 82-83. (26.) "[U]nd hörte fremd einen Fremden sagen: Ichbinbeidir." Rainer Maria Rilke, "Die Entführung," in Gedichte 1895 bis 1910, vol. 1. Rilke Werke, ed. Manfred Engel and Ulrich Fülleborn (Frankfurt: Insel Verlag, 1996), 578. (27.) See Meins G.S. Coetsier, Etty Hillesum and the Flow of Presence: A Voegelinian Analysis (Columbia, MO: University of Missouri Press, 2008). (28.) "... Wandlung. Hymnen im Innern. Tanz vor der Arche, Aufruhr und Aufzug im reifenden Wein." Mood, Rilke on Love and Other Diffculties, 82-83. (29.) "Through every being single space extends: outer space within." In German: "Durch alle Wesen reicht der eine Raum: Weltinnenraum." Quotation from Rainer Maria Rilke, Gedichte 1906-1926, Samtliche Werke, II, 92 (published by Rilke Archive in 1955).